Investigators at the Beaumont Research Institute, part of Beaumont Health in Michigan, have found small molecules in saliva that they say could identify people at risk of Alzheimer's disease. In the study, 29 adults were divided into three groups: mild cognitive impairment, Alzheimer's disease, and a control group. After specimens were collected, the researchers positively identified and accurately quantified 57 metabolites. “Our goal was to find unique patterns of molecules in the saliva of our study participants that could be used to diagnose Alzheimer's disease in the earliest stages when treatment is considered most effective. 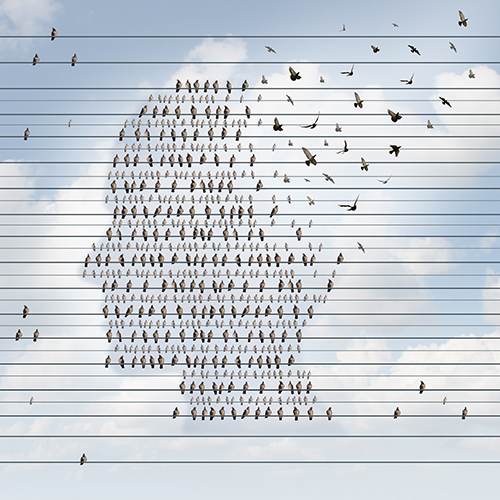 Our team's study demonstrates the potential for using metabolomics and saliva for the early diagnosis of Alzheimer's disease,” said senior study investigator Stewart Graham, Ph.D., assistant professor at Oakland University William Beaumont School of Medicine. The Beaumont researchers found that salivary molecules hold promise as reliable diagnostic biomarkers. Some of the observed variances in the biomarkers were significant. From their data, the research team was able to make predictions of those at most risk of developing Alzheimer’s. Researchers are scrambling to develop methods that can quickly and accurately diagnose Alzheimer’s. The neurodegenerative disorder now has no cure, few reliable diagnostic tests, and is predicted to reach epidemic proportions worldwide by 2050—when Alzheimer’s prevalence has been projected to reach 106.23 million. In the U.S., according to the Alzheimer's Association, the number of Americans living with Alzheimer's disease is expected to triple by 2050 to about 15 to 16 million. The condition is projected to cost the nation $259 billion this year alone.